DCC + sound decoders are a bit more sensitive to good power pickup, and some shorther wheelbase locomotives are extra sensitive to it. I've recently installed some additional power pickups to one of my Athearn RTR SW1500 locomotives. 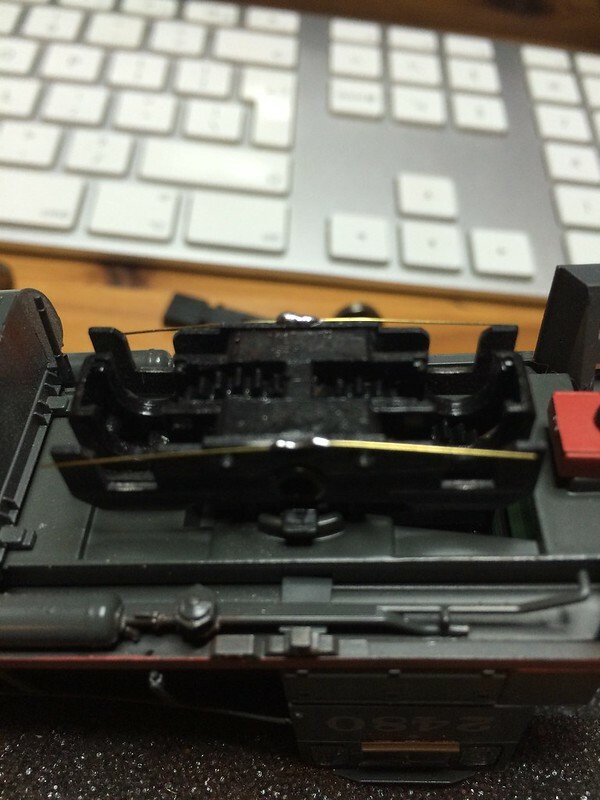 The SW 1500 is fairly sensitive, and there are a few issues that are easy to fix and result in a better running loco. 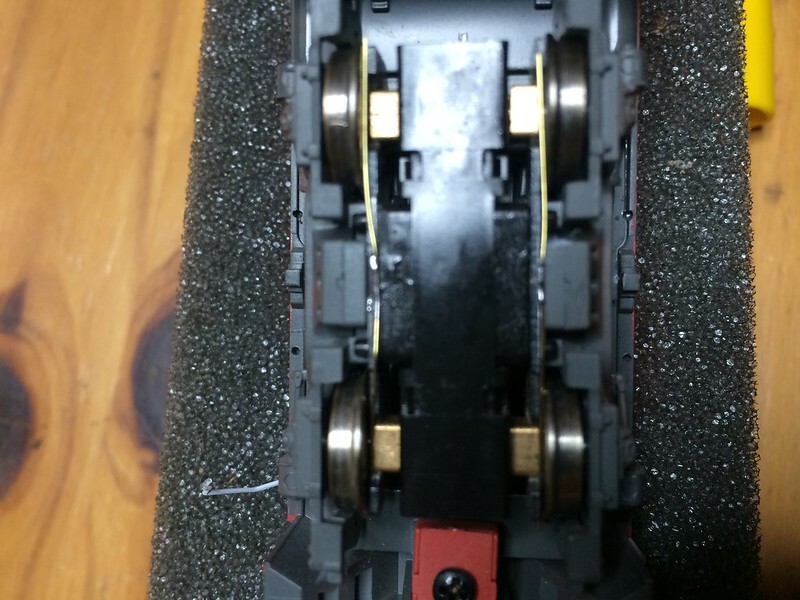 After removing the truck side frames, and wheels, use a small file to sand away the chemical blackening of the contact strips in the openings where the brass wheel bearings drop in, and on the underside of the frame in the middle (see picture where I point at this area). After applying some flux I tinned the areas in the middle, and then soldered a small phosphor bronze wire (0.010" dia) and cut to length. Bend them outwards and downwards when the loco is upside down (upwards if you have the loco in a normal upright orientation). This will ensure some additional contact pressure and will result the wheels stay in place . It is a bit fiddly to place the wheels in , and you carefully need to lift the new contacts over the wheels and on top of the wheel bearings/against the back of the wheel. Exact location isn't that critical. you may experience a slight increase in wheel friction, and therefore a slight retune of your decoder settings may be needed, but running should be improved due to more reliable power pick up. I just twist the steel frames a bit to make better contact to the axle boxes. 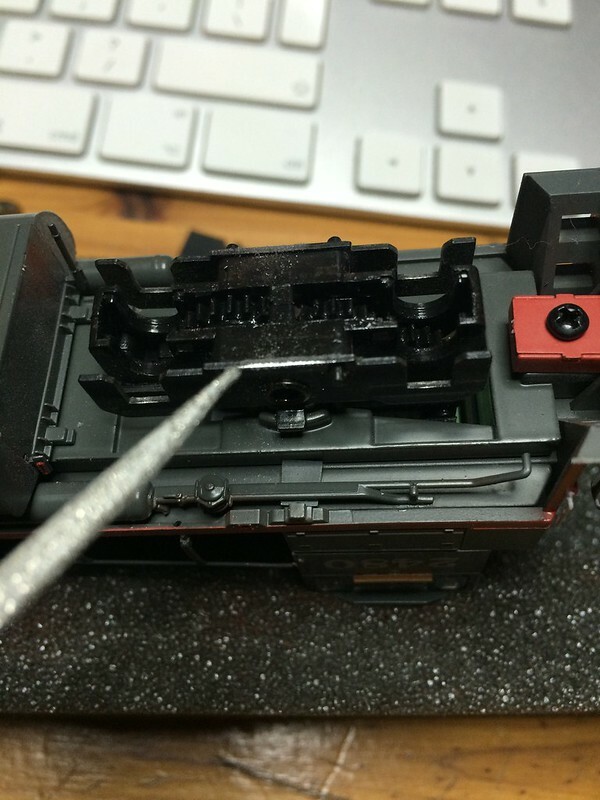 I do solder wires to the flat plate on top of the trucks to bypass the kingpin contact and to a cut down part of the side to avoid the long top spring of the old locos.